While the role of nuclear energy in the power mix is ​​often controversial, it accounted for only 11% of the world’s electricity production in 2016 (75% in France), and its share has changed little (in 2015, a worldwide fleet of 437 reactors, ie 413 GW). A recent report by the IEA (International Energy Agency, Energy Technology Perspectives 2017, www.iea.org ) has highlighted interesting observations about its future. It thus appears that for the first time since 1990, the year 2016 has been particularly « prosperous » for nuclear energy, since new reactors representing a power of 10 GW have been connected to networks. However, the IEA observes that in the last ten years, an annual average of 8.5 GW has been put into service, while its energy scenario limiting to 2 ° C of global warming « foresees » an annual target of 20 GW. What could be a possible scenario for nuclear energy? According to the IEA, its share in the world’s electricity mix would increase to 15% in 2060 in a context of a world electricity production growth. It notes, however, that by the end of 2016, only 10 out of 163 states had referred to nuclear power in their enrgy strategy to reduce greenhouse gas emissions, which they had sent to the UN following the Paris agreement. Asian countries have the most ambitious targets : China plans to double its nuclear capacity by 2020 to 58 GW and with 30 GW under construction by 2020, South Korea aims to increase its nuclear capacity from 23 GW (2016) to 38 GW in 2029 but the new president envisages the abandonment of nuclear energy …. India while producing 60% of its electricity with coal, plans to produce one quarter of it with nuclear power by 2050 (5 GW in 2015), while Japan is restarting with difficulty (five in June 2017) its nuclear reactors arrested after Fukushima. The situation is more contrasted in Europe and in the United States (one third of the world’s nuclear electricity), where the « renaissance » of nuclear energy is delayed because it is subject to shale gas competition. In Europe, after Germany’s exit from nuclear power and Switzerland’s recent decision to follow it, Sweden, Finland, some eastern European countries and Russia continue to invest in nuclear power. As far as UK is concerned, it is renewing investments in the sector, partly through foreign capital, the two EPR reactors to be built by EDF at Hinkley Point C. being an example. 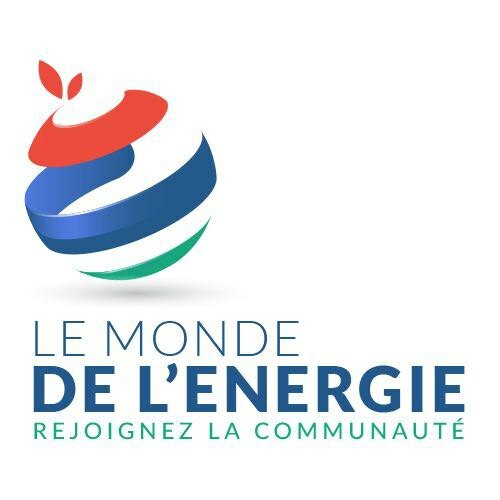 As for France, it must limit its nuclear capacity to 63 GW while lowerig its share of nuclear power in its electricity production from 75 % presently to 50% in 2025. Today, the world’s uranium reserves supply fuel to nuclear power plants until the end of the century but the reserve question will arise if the nuclear option is maintained. Meanwhile, the question of future reactor generations is already posed (see, in particular, World Nuclear Organization, Advanced nuclear power reactors, January 2017, www.world-nuclear.org ). According to the IEA, the majority of reactors under construction belong to the third generation of nuclear reators, the EPRs with its variants (more generally known as Advanced Power Reactors or APcRs). They have enhanced safety systems and operate with better efficiency with a 60 years lifetime. After delays in construction and significant cost overruns (notably in Finland and France at Flamanville cf. photo Flamanville EPR construction site, source : EDF), the first APRs began producing their kWh: the APR 1400 reactor in South Korea in 2016, a reactor at the power plant Novovoronezh in Russia with a capacity of 1,200 MWh since February 2017, the Finnish plant in Olkiluoto (1700 MW) will begin its tests this year, the Taishan 1 reactor (1,700 MW) in China having started its own in 2016, the two of them built by Areva. A scenario with Generation III reactors but with a smaller power (less than 1000 MW) is also conceivable. US manufacturer NuScale Power intends thus testing small second-generation reactors and has submitted a request for certification of a 50 MW one to the US nuclear regulator in January 2017. It would build a 600 MW power plant consisting of a Dozen of those mini-reactors, the tank of each unit being immersed in a concrete pool dug in the ground, the core being cooled by water circulation convection. used for producing an atomic bomb, it would be « non-proliferating ». India, well endowed with thorium, is experimenting with a 30 MW reactor, as well as China. In the USA, the ThorCon consortium designed a modular reactor operating with liquid thorium fluoride mixed in a liquid coolant (other fluorides) and with graphite as a moderator, each 250 MW module being housed in an underground concrete cavity. If the safety and economic competitiveness of low-power reactors were assured, a scenario could be envisaged in which a country would be equipped with 100 to 300 MW reactors which would be cheaper, to support the production of intermittent wind and solar electricity, it would be a new nuclear « era ». Nuclear power must lastly resolve two important issues: the possible extension of the activity of « older » reactors and the storage of nuclear wastes. The first one arises for reactors over forty years of age in France (this is the case of the Fessenheim plant whose closure has been decided) as in the United States, Japan and other conutries. Permission to extend the operation of a power station being given by an official Nuclear Safety Authority. In a series of studies on the safety of French reactors, researchers at the Ecole des Mines de Paris (R. Bizet, P. Bonev, and F. Lévêque, Mines ParisTech, Are Older reactors less safe ? Evidence from incidents reports in the Frence fleet, CERNA, February 2017, www.cerna.mines-paristech.fr ), have shown that there is no « age fatality » for nuclear reactors. With a 19,000 incidents in France database, they show that it is the reactor technology which is the critical parameter (the incident frequency is not the same for the 900 MW and 1450 MW reactors), furthermore one has to take into account that their safety might have been improved during their lifetime. In other words, priority must be given to the specificities of a reactor’s technology (and its weaknesses) in the decision making process to extend or not its operation (if no failures have been detected), and even with measures for improving its safety if their cost is not prohibitive. The storage of radioactive nuclear radioactive wastes, particularly from spent fuel, is the ultimate question that has rarely been answered « definitively ». 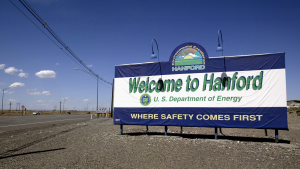 A recent incident at the Hanford site in Washington, DC, in the United States, last May, illustrates the urgency of the problem. At this plutonium-producing military site, which is out of service (the first reactor producing plutonium from atomic bombs was put into service there in 1943) and transformed into a solid and liquid wastes storage complex, the ceiling of one underground gallery where wastes are stored in wagons collapsed (cf; photo Hanford, source : crosscut.com) The accident did not appear to have resulted in ouside radioactive emissions. 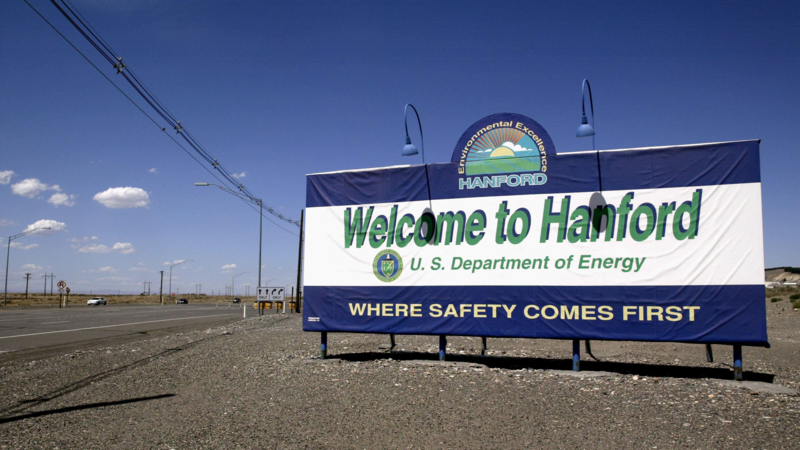 Scientists, notably those of the Bulletin of Atomic Scientists, have denounced the US Administration’s failure to allow the situation to deteriorate in Hanford and did not find a solution for a final disposal site on a national scale ; the project for the construction of an underground storage site in Yucca Mountain, in Nevada State, 100 km from the Las Vegas casinos which seemed to have been abandoned by the Obama Administraion was pulled out of boxes by the Trump administration …. 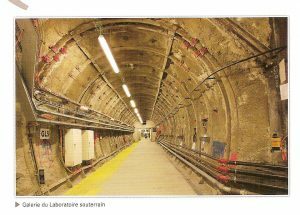 France, for her part, is tackling the problem within the framework of the Bataille law, voted by Parliament in 1991: the principle of a « reversible » storage of high-level and medium-level and long-lived radioactive wastes into a site dug in a geological layer has been retained. The national Agency ANDRA (National Agency for the Management of Radioactive Waste) is responsible for preparing and managing this storage (temporary storage is already carried out on surface), it is the purpose of the so called Cigéo project (Industrial Center for geological storage). A site has been chosen at Bure on the edge of the Haute Marne and the Meuse, to build an underground laboratory 500 meters deep in a layer of clay with, presently, 1600 meters of galleries already dug (www.andra.fr cf. the photo of a gallery on the site, with the thanks of the author to the Andra for a visit of the site). The storage conditions are tested in situ. As it has to be ensured for several hundreds of thousand years, it is necessary to check the geological stability of the layers (and material of the containers), this is the case with this type of clay dating from 160 million Years (the recovery of long-lived waste being not excluded if one would discover a technical means to transmute them into shorter life-time wastes). The robotization of the handling of the containers is also tested. The future storage area would cover 45 km2 and would be commissioned by 2030 with an estimated total cost of 25 billion euros that EDF will have to provision for waste coming from its current reactors (its impact on the cost of kWh would be about 1% to 2% according to the Court of Auditors). The project was the subject of a local consultation but like all the major current infrastructure projects (from the Notre Dame des Landes airport to the tunnel of the Lyon-Turin railway line, via offshore wind farms …) It arouses criticism but whatever one thinks about nuclear future, nuclear waste storage is « unavoidable » if we want to avoid situations like the one in Hanford, while we should be aware that we entrust them to future generations … A recent report by the American Academy of Arts and Sciences in New York (RD Sloan, Multinational Storage of Nuclear Fuel and Other High-Level Nuclear Waste, a road for moving forward, New York 2017, www.amacad.org ) puts forward the necessity of addressing this problem and advocates for multinational solutions (meanwhile they will not always be feasible). Sixty years after the first nuclear power reactors came into service in the USSR and Great Britain, it is clear that the nuclear industry poses many questions but also that it probably has not said its last word. 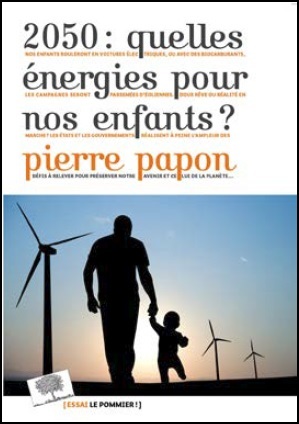 The choice of an energy system is a political decision, the Swiss referendum being an example, having to take account of three criteria: the possible, the desirable and the acceptable (see B.David et al. « Prospectives énergétiques : le possible, le souhaitable et l’acceptable », Futuribles, No. 390, p.5, November 2014). With regard to underground waste storage, which is regulated by law in France, it can be estimated that if the tests are positive, the three criteria will be satisfied (this is far from being the case in the USA and it is probably the case in Finland and Sweden). As far as the future nuclear reactor generations are concerned, it can be assumed that all the « possible » is far from having been explored (for example, for generation IV, thorium and small reactors). As for the question of the « desirable », it is posed, at the international level, by nuclear proliferation risks. « La voiture électrique fer de lance de la transition énergétique?